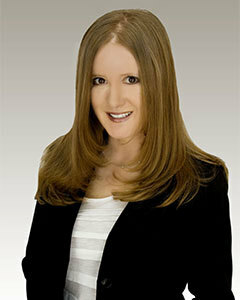 Leslie Silverman is a licensed real estate broker with @properties. She had previously worked at a different real estate office but decided to make the change to @properties as she felt their innovative marketing plans and vast technological support will better serve her and her clients. She was right! Leslie brings a unique perspective to real estate as she started her career as a high school math teacher with a Master's Degree in School Administration. During her last classroom teaching position, she served as a technology instructor by training teachers on topics such as how to use various grading software programs, how to integrate the Internet into the classroom, and how to effectively use technology with gifted students. Leslie then took her love for technology and became a computer instructor for children where she planned and implemented her own curriculum teaching a variety of computer skills. Leslie did that for a number of years and then went back to teaching adults at a real estate school in Chicago. There she was employed as both Technology Director and as an instructor for technology-related continuing education classes such as Facebook for Realtors. While teaching such classes, Leslie was often told by real estate agents that she should get her real estate license as being outgoing, caring, and knowledgeable will undoubtedly make her a success. She eventually followed their advice and decided to get her real estate license. She is so glad she did! Leslie Silverman is now an established, successful, well-known real estate broker who truly loves what she does. Having been an educator and technology director, she is able to help her clients find out everything they want to know about the school districts in the areas in which they may buy a home. In addition, her knowledge and enjoyment of technology will allow her to assist clients with various websites and tools that can really enhance the process for them. Furthermore, Leslie's teaching abilities enable her to explain every step of the buying or selling process in a way that will be easy to understand by everyone. She has a lot of patience and will always be willing to answer any questions you may have, no matter how long it takes! Leslie is very motivated to help her clients find the homes of their dreams or sell their existing at the right time. She is friendly, energetic, caring, motivated, intelligent, knowledgeable and loves making people around her happy! Her desire to help her clients every step of the way combined with all the benefits of working with a top-notch real estate brokerage such as @properties, undoubtedly enables Leslie to help each and every one of her clients in every single way possible. Call or email Leslie Silverman to get started or with any questions you may have. She is always happy to help you in any way she can and hopes to hear from you soon! "Leslie did it again! I was in a position where I had to sell the home I had just bought using Leslie 10 months ago, due to a divorce. Leslie came in and made me feel at ease and assured me we’d price the house right and sell quickly. Boy was she right! Within a week of being on the market, we had three offers and were under contract at ABOVE list price! Not only that, but list price was $40K more than I had purchased it 10 months prior!!! From list to close, it was maybe 5 weeks total. As always, Leslie took amazing care of me throughout. We had some bumps in the road with the buyer’s mortgage broker, but she remained calm and helped make sure that we closed on time! If I even need to buy or sell again, I would not hesitate to go to Leslie as well as send everyone I know to her! She’s simply the best!!"